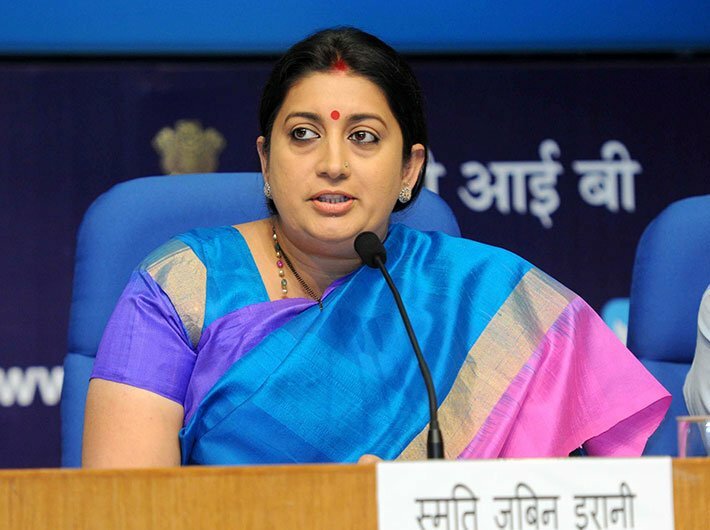 Irani headed a crucial ministry that dealt with students and education and she made a complete hash of it. The unnecessary confrontation over the Jawaharlal Nehru University (JNU) row and the poor handling of the Rohith Vemula case showed that she lacked the gentle, mature touch that one needs to have while dealing with students. Her term began on an uneasy note, with her degree being questioned. Even after a couple of years, it is still not absolutely clear as to what exactly her qualifications are. It only shows the government in poor light. The last two years have been sheer agony to see a ministry being led by a politician whose own educational qualification is under cloud. She had to fill big shoes as the HRD minister. The ministry had earlier been led by astute politicians like PV Narasimha Rao and before that, when it used to be the ministry of education, the ministers were stalwarts like Maulana Abul Kalam Azad, MC Chagla and redoubtable Fakhruddin Ali Ahmed. The shoes proved to be too big for Irani. Besides courting controversy, what did she do in the past couple of years? She wanted the national tricolor fluttering on top of a 207 foot pole in the universities. Nationalistically, it was an admirable move. But, educationally, it made no sense. There are more urgent and pressing matters which need to be addressed in the Indian universities, which are not in the pink of health. The minister completely missed the larger issue. She is supposed to transform the education system and prove her mettle through her work and not through her words. That’s when Modi stepped in and perhaps decided enough is enough. Though the move comes ahead of the Uttar Pradesh election, Smriti Irani is no longer the person to watch out. Instead, it is Apna Dal’s Anupriya Singh Patel who now matters. Her inclusion a signal that genuine political heft and being a doer counts. One now waits with bated breath with what Smriti Irani will do at the textile ministry. And this should be new minister of state for textile Ajay Tamta’s first concern too.